Much like a doomsday prepper stocking up on as much water and canned goods for the arrival of the end times, data center and IT professionals have been discussing and preparing for the increase of rack density that is coming in the years ahead. For years and years now IT professionals have been predicting a massive increase in future rack density and…so far…they have been wrong. Many server racks currently operate at around 3-5 kW per rack and some people are predicting that within a matter of years rack densities will each 50 kW. But, as inflated predictions continue to plague the IT world more and more businesses and data centers find themselves with bloated, overbuilt data centers that end up being far more than what is actually needed and a complete waste. A data center with a massive amount of unused capacity will, take up space and consume a completely unnecessary amount of energy that will simply go unused. While it is important to build a data center that is scalable and future-proof, completely overdoing it with capacity is not necessarily the right way to go. So, can you really predict future rack density? Is it worth it to even try? When talking about creating a future-proof data center, you do have to at least consider potential future density needs. If rack density is going to dramatically increase data centers must be prepared to power and cool such a high density. The lower the rack density the less energy and money it takes to power and cool it so considering a tripling (or more) of rack density can seem quite daunting. Some recent surveys and reports from industry experts predict that by 2025 rack density could be around, or even exceed, 52 kW. 2025 is still 10 years away but that is not so far off that we should not start preparing now. While there will certainly be some data centers operating at 25 kW or 50 kW by the year 2025, it is unlikely that this will be the average or even the trend. The primary reason for this is technology. New technology that will help lower rack density is likely to emerge in that time. Even a change to a rack density of 25 kW will mean a significant change to the physical environment in a data center. While rack density will most certainly increase in the next decade, so will utilization rates which means more efficient performance. 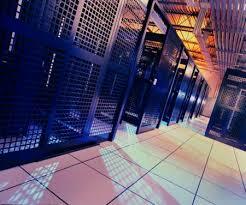 Additionally, in the next decade it is expected that there will be major changes in the way data centers are powered. When it comes to the future of data center power, solar is the name of the game. In addition to solar power, nuclear, gas and wind power will also be utilized to create a more energy efficient data center. All of these things will impact the way data centers anticipate and manage an increase in rack density. If there is one thing that is clear, scalability is critical to the preparation and management of increased rack density in the future.